Caitlin from The T-Shirt Girl LOVES St. Clair because she LOVES her dogs, and St. Clair has dog-friendly parks! The T-Shirt Girl is located inside Anglers Outfitters and features a wonderful variety of apparel and accessories that are all designed, hand-crafted, and printed in St. Clair County! Sheila LOVES the small town atmosphere and when the People pull together! We LOVE that, too, Sheila! Daniel LOVES St. Clair because some of his favorite restaurants are there! At Daniel Ochoa Insurance Agency, they protect the people of St. Clair from everyday risks. My husband, James, and I live in St. Clair. He was born and raised here, and I was born and raised in Spartanburg, SC. 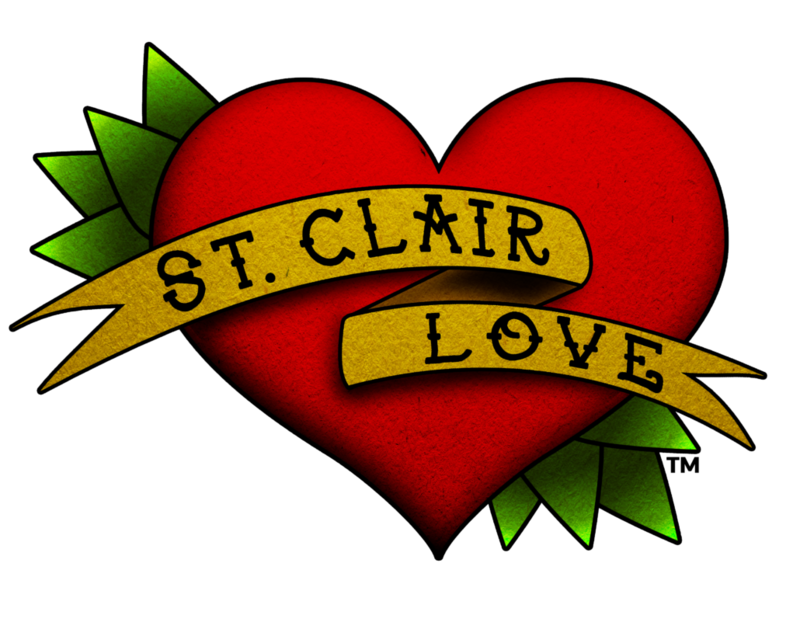 WE LOVE ST CLAIR! It’s beautiful here; filled with great people, love, and beautiful views. Mitch has been living in St. Clair for 35 years, and he LOVES the boat races that happen every year! This video is presented with LOVE by Lelito’s Legacy Foundation. Kierra and Jacob LOVE having lunch down by the river in Palmer Park. This video is presented with LOVE by Blue Water Startups and Entrepreneurs. Born and raised in St. Clair, Jason Stier is the President of the St. Clair Art Association and Principal of Riverview East High School. He LOVES the creativity, collaboration, and community in St. Clair. 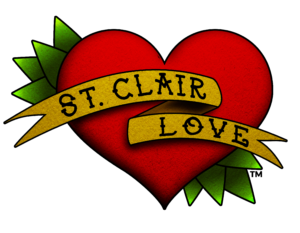 Karen LOVES St. Clair because of the Art Fair and the St. Clair Art Association! Amy LOVES St. Clair because it is a great place to raise a family! NOT JUST PLAY is a preschool located in the heart of St. Clair, which also offers open play sessions and events. Julie LOVES that St. Clair is a quaint little town. Diane LOVES visiting Julie in St. Clair! Thank you for the LOVE, Julie and Diane! This video is presented with LOVE by Continue Marketing. The largest annual event in St. Clair, Riverfest brings thousands of people downtown who LOVE live music and offshore powerboat racing. I LOVE the boardwalk. I LOVE the view of the water as I walk with my two year old son and five year old daughter. We LOVE eating at Coney Island and shopping at Boomerangs! Peter runs Peter Michael Photography Studio in downtown St. Clair. He LOVES that we have the world’s longest freshwater boardwalk! If you LOVE classic cars, you will LOVE the annual car show. Palmer Park is lined with classic cars and trucks on display throughout the day. Chelsea LOVES that there are no traffic jams in St. Clair. Stefanie LOVES the small town value.